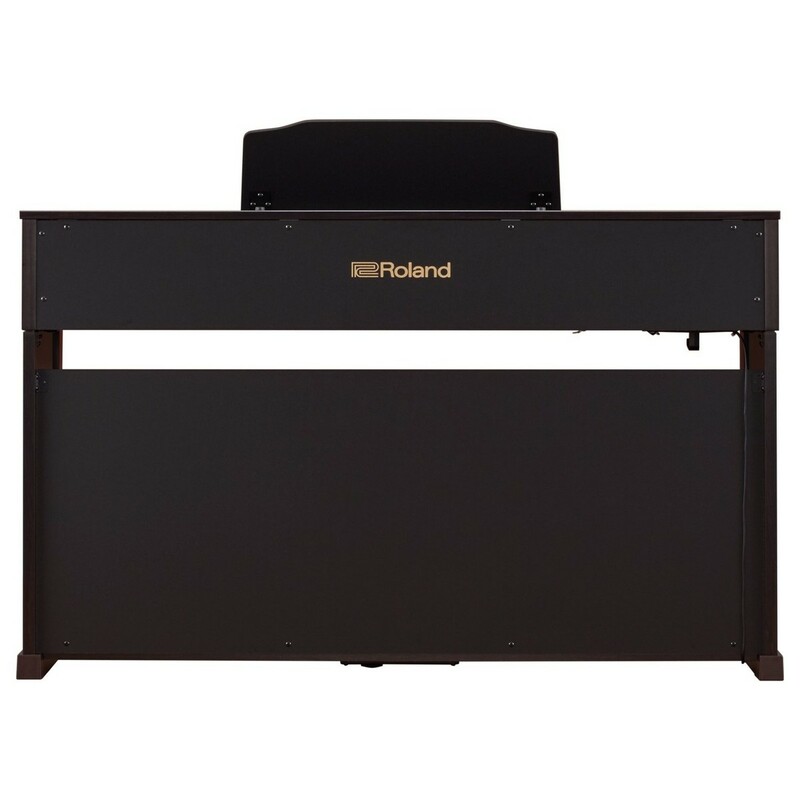 The Roland HP601 Digital Piano delivers the exceptional tone, response, and build quality that Roland is renowned for. 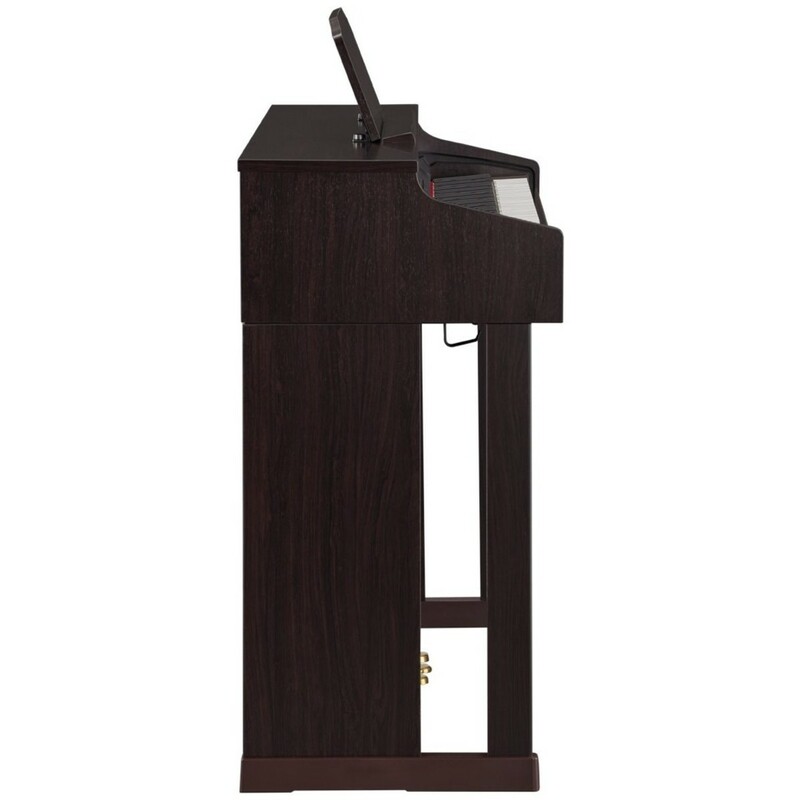 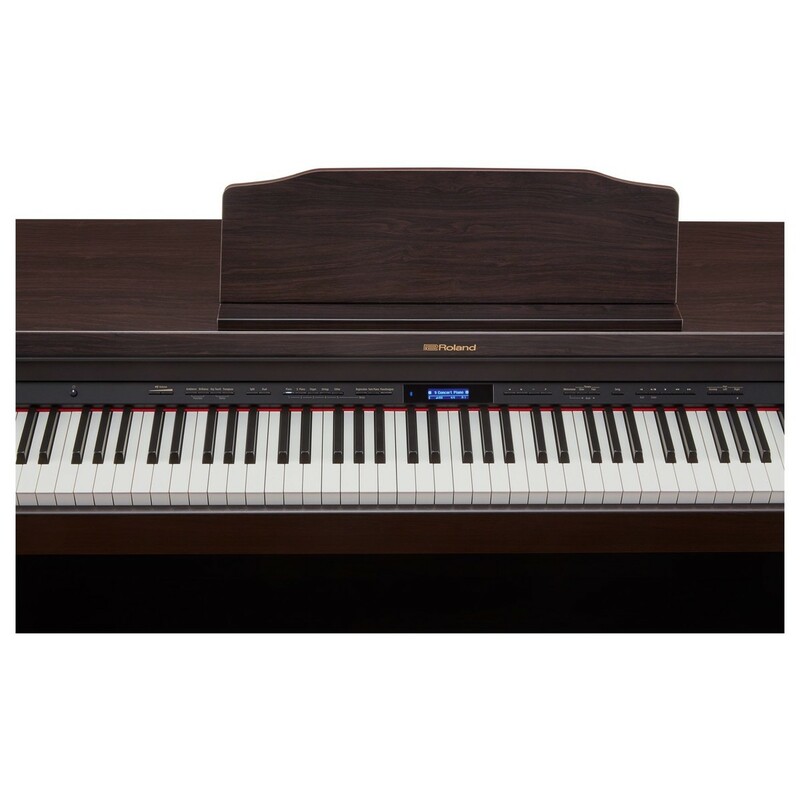 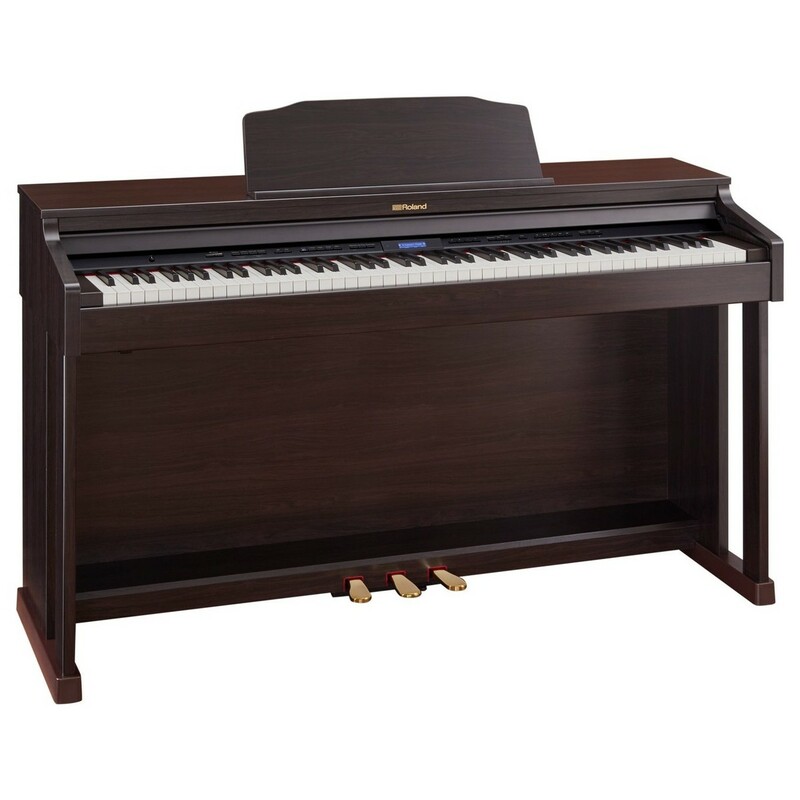 Equipped with an 88-key PHA-50 keyboard with progressive hammer action and beautiful ebony/ivory feel, the HP601 features the interactive tonal and physical response of an acoustic grand piano. 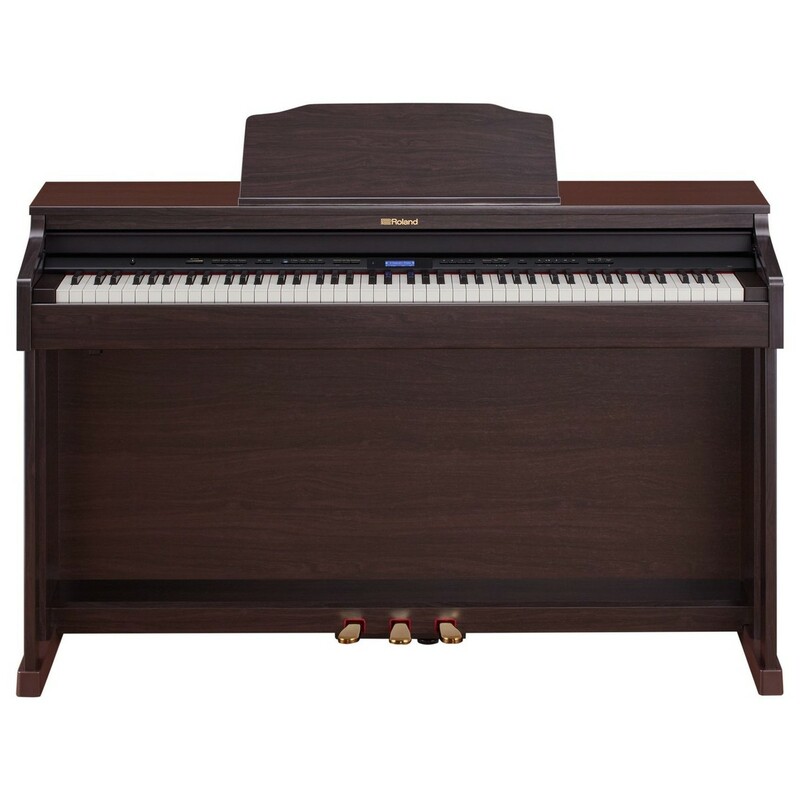 Combined with a striking aesthetic, the Roland HP601 puts the look and feel of an acoustic piano into an intuitive, compact, and feature-packed format for pianists of any level. 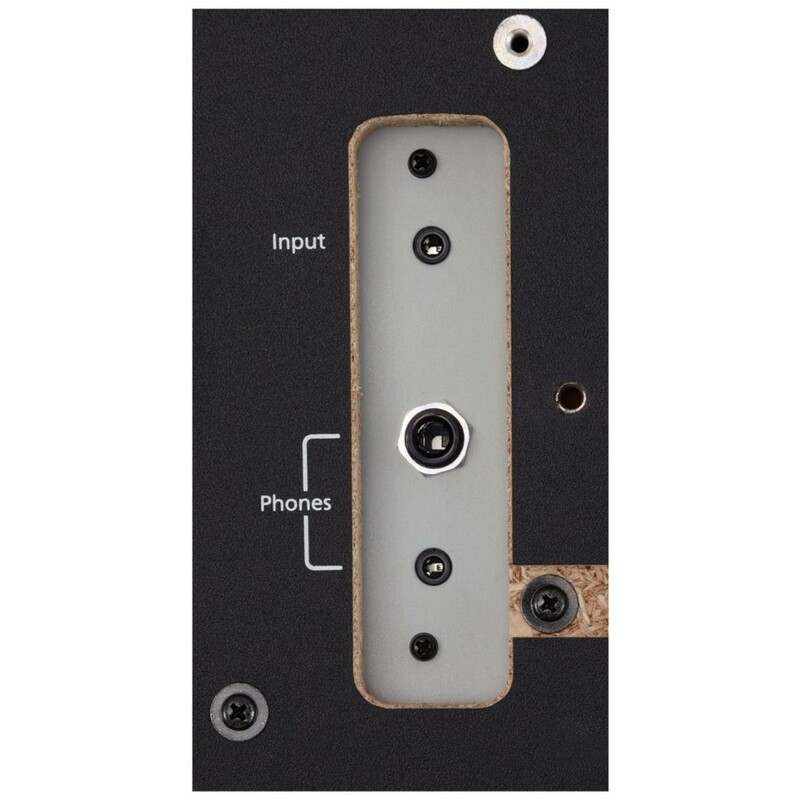 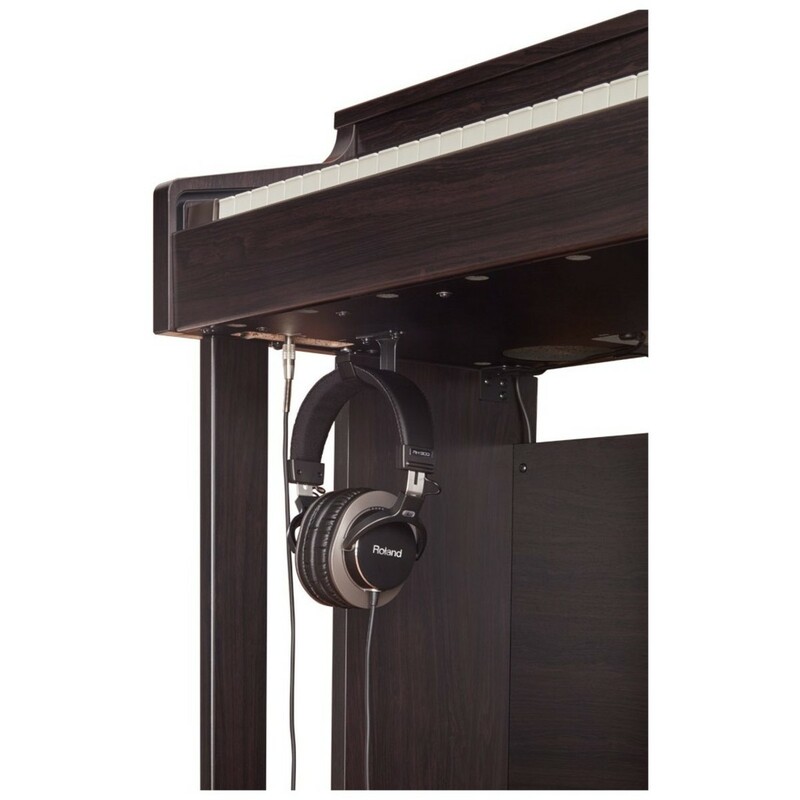 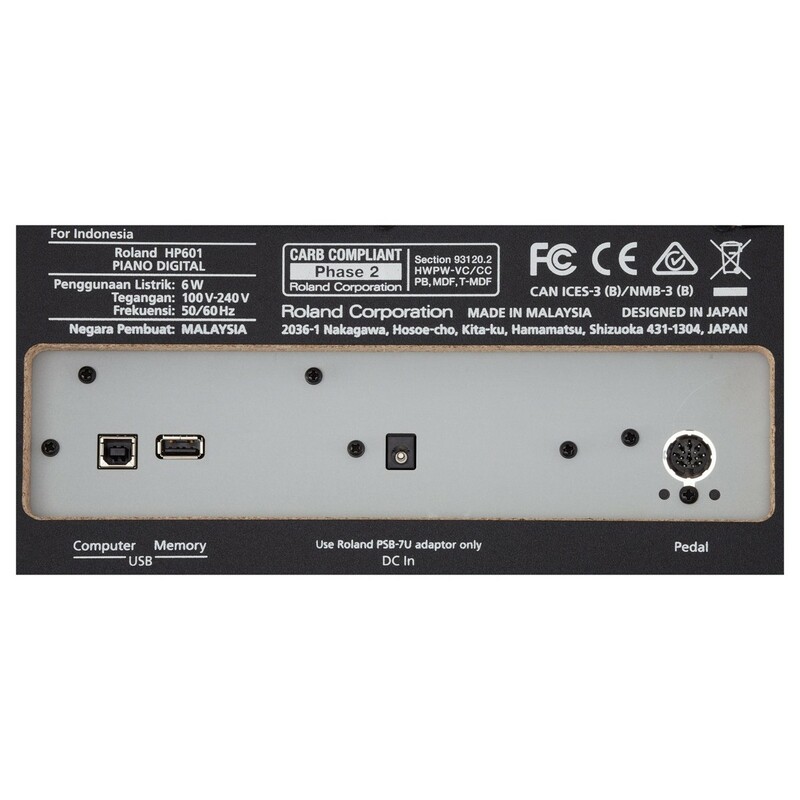 The HP601 can be used with Roland's unique Piano Partner 2 application via wireless Bluetooth connection, whilst the on-board Piano Designed function and 319 available tones provide a plethora of sonic possibilities. 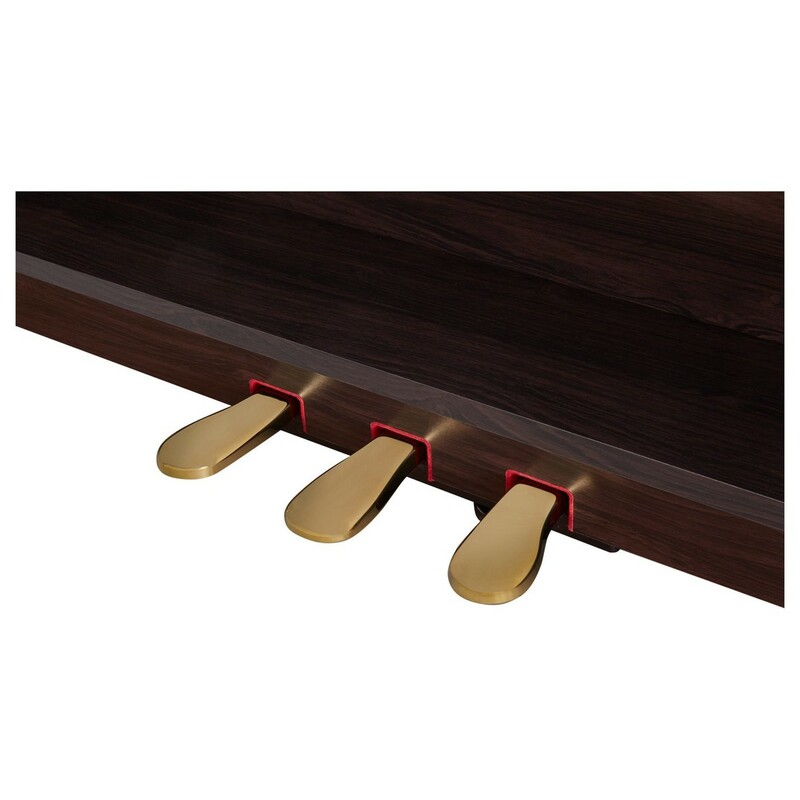 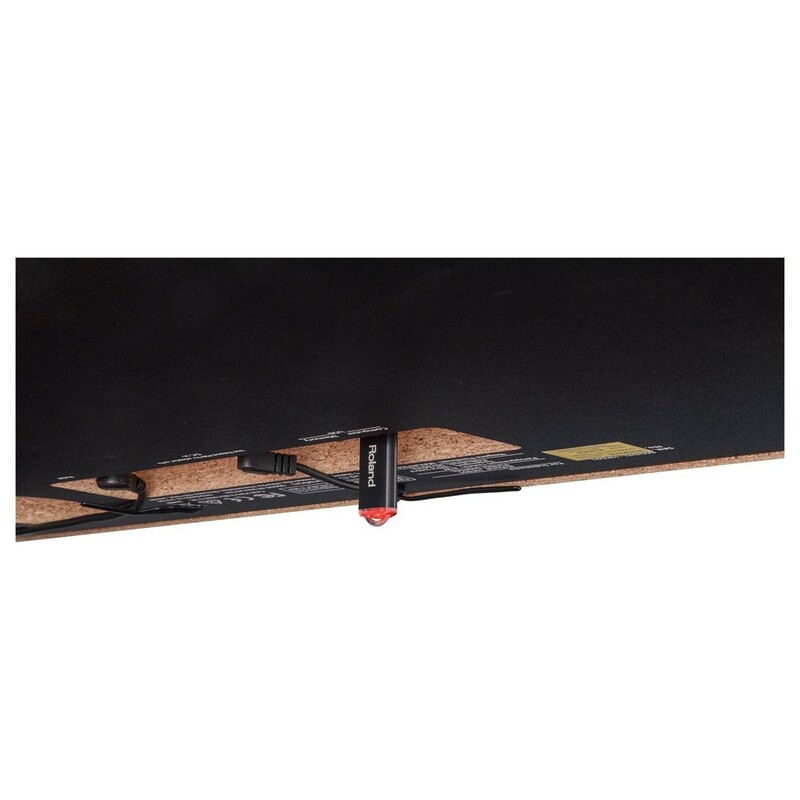 Powerful built-in practice tools as well as 25 registrations for storing and recalling your favourite sound setups, including layers and splits, which can also be backed up via USB, ensure a digital piano that is perfect for beginners right up to advanced players.